Wonderwild gives kids the freedom to explore, play, imagine and create a world all their own. With a jumping pillow, 3-story playscape, crocodile slide and more, the sky's the limit when it comes to kid adventures. 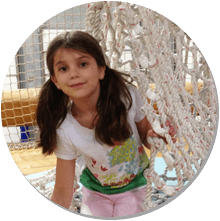 Host a birthday party or join us for weekday open play, and let your kids explore their imagination untamed. Let your big kids (ages 5 – 11) play at Wonderwild(er) on our giant indoor ropes course and more. Holiday Hours. Make sure to use #wonderwild and show the world how fun Wonderwild can be!